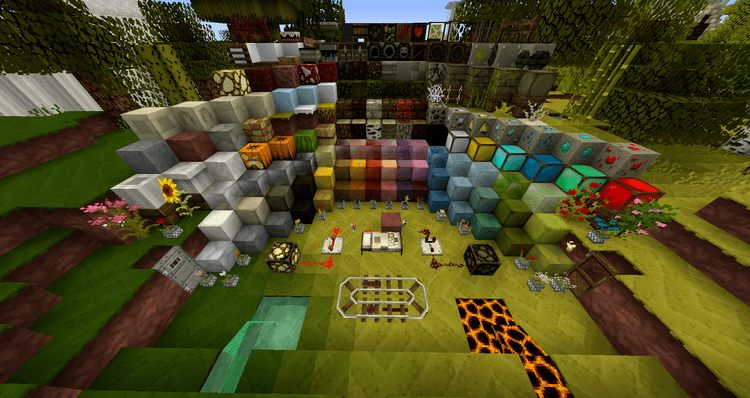 JoliCraft Resource pack – One of the Resource Pack 1.11.2/1.10.2 has appeared and was famous for a long time. 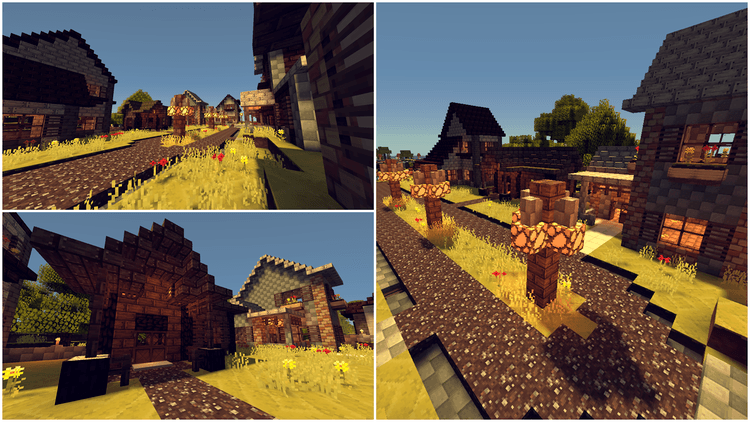 We could say this is a Resource Pack has had a great influence to a branch of Resource Pack with a cartoon style. 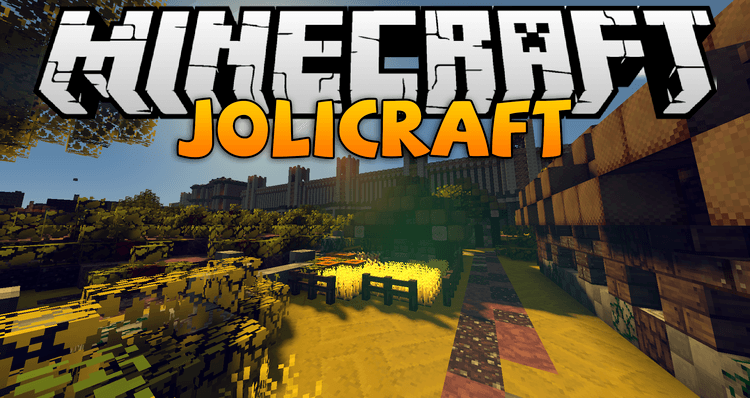 JoliCraft is suitable for all Minecraft players with a unique style and bright colors. Many players in Minecraft complain that the basic GUI of Minecraft sometimes causes players not to read correctly the number of items carried, especially those white items and numbers. JoliCraft Resource Pack has solved these common problems by introducing a new GUI display to be easier to read and easier to see in the game. 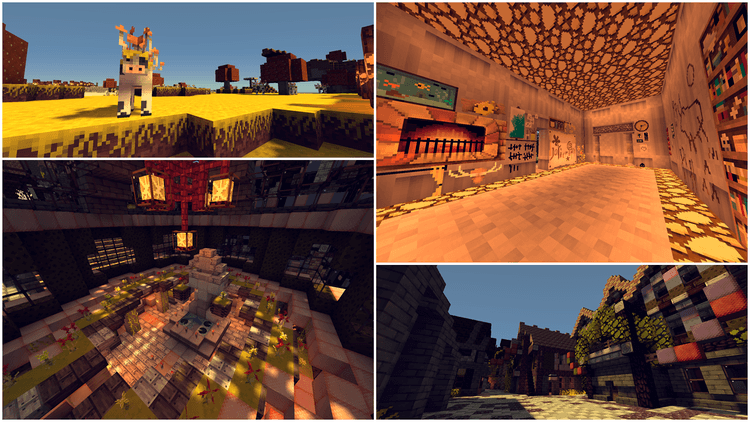 JoliCraft contains self-made contents including breaking animations, sky, moon and sun, as well as various blocks and objects scattered around the Minecraft world. Everything is little different than usual. 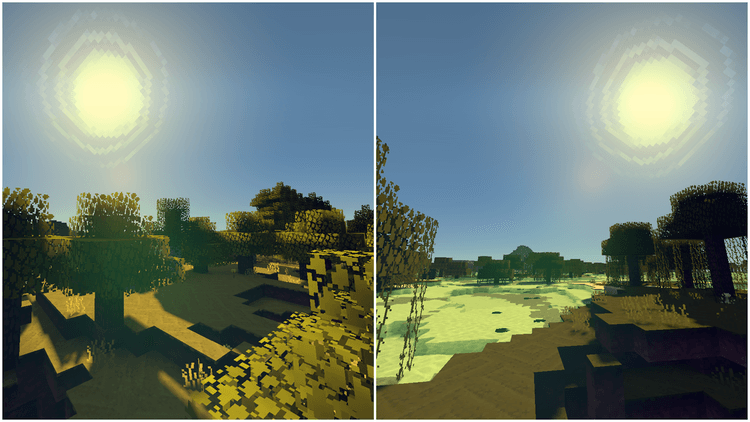 Although Jolicraft has only 16×16 resolution, it is still a perfect Resource Pack for those who feel a little tired to basic squared blocks of Minecraft heaven. Naturally, after installing Jolicraft, Minecraft will look like a squared block. However, the rapid changes and improvement of the texture has brought Minecraft a different and much more beautiful appearance. The indicated bars like available HP, Armor and simplified Hunger, replaced by several circles with different sizes. Even the animals including friendly animals and monsters look all different, and JoliCraft also allows you to distinguish clearly between normal Zombie and desert Zombie. Moreover, thanks to a resolution of 16×16, you do not need to install a support mod, you can play already and anyone can use it, even your PC has no qualified configuration.